100% Bamboo viscose Sheet Sets & Duvet Covers by Yala - Dreamsacks. These "Bamboo Dreams" Sheet Sets & Duvet Covers are made with all natural viscose from bamboo fiber and are pure luxury. The Yala Dreamsacks Bamboo Sheet Sets and Duvet Covers are extremeley high in quality, durability and comfort. They are incredibly soft luxury bamboo linens. These Bamboo Luxury Sheet sets include bottom fitted sheet, flat sheet, and two pillowcases (Standard pillowcases for Queen and Twin sets/ King pillowcases for King and Cal king sets). The 15" pocket on the fitted sheet fits a range of mattress depths. Bamboo Luxury Linens at their finest! Care: Machine wash cool water, gentle cycle, mild soap, with similar colors. Do not bleach. Tumble Dry low. Remove promptly. Steam iron low setting if desired. 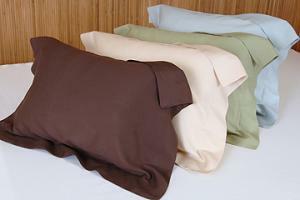 Yala Dreamsacks Bamboo Fiber Sheet Sheet Sets include: Flat, Fitted, and two Pillowcases. Yala Dreamsacks Bamboo Fiber Duvet Covers are clean simple and luxurious. 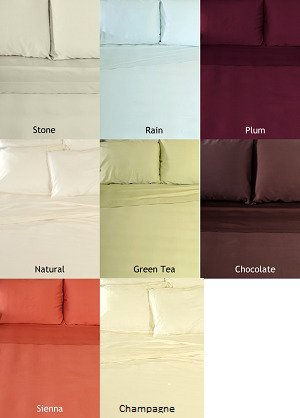 We have Bamboo Fiber Sheets, Duvet Covers, and bedding available in other colors as well - just click here for details on all our Bamboo Linens in a variety of colors and styles! Shipping Details: Please allow 2-4 weeks for items in stock and 6-8 weeks for items out of stock.